Toronto's most popular spots for fall colours are certainly beautiful, but they can also get annoyingly busy during peak foliage season. Fortunately, there are many places down the path least traveled that are also stunning & gorgeous in autumn and well worth a visit. 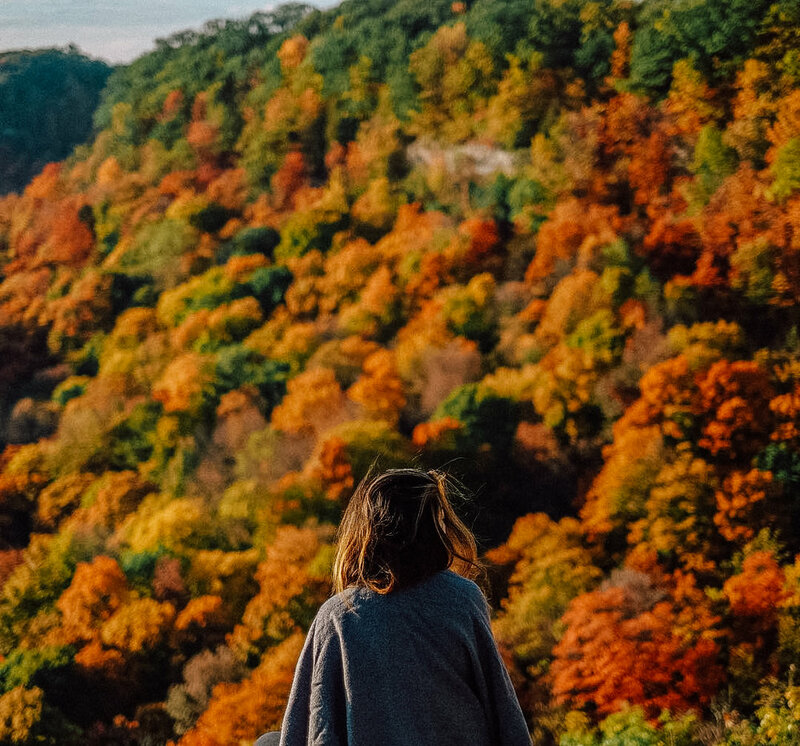 If you're looking to do some leaf peeping without negotiating the crowds, check out some of these incredible locations. Here are a few underrated spots to check out fall colours in Toronto. This ravine area near Bathurst and Sheppard is home to a secluded hiking trail that cuts through a large wooded area that bursts with colour by mid October. Despite its proximity to Earl Bales Park, this stunning area is rarely populated. Spend a day alone among the leaves! This ravine just south of Yonge and Lawrence is a hidden gem. It may not have the grandeur of Moore Park or Glen Stewart, but it looks mighty fine dressed up in fall colours and is wonderfully quiet compared to the go-to spots around town. We were surprised to have this east Toronto spot become a favorite pick because our last blog post. At Guildwood Park you'll find much more than just greenery. Among its trails and trees there are architectural gems from historic relics that were demolished. The place takes on an almost eerie beauty at the peak of fall when the ruins are covered in falling leaves. The bluffs are great place for fall strolls because it isn't busy with people. This is a great location to view the water, epic cliff edges and warm fall colours. A kilometre from the Brick Works is Craigleigh Park, a peaceful 3.4 hectare reserve filled with greenery. When the seasons start to change its tree canopy is one of the most beautiful in the city. From the park, you can then hike along scenic Milkman's Lane, which is also beautiful. Ok, Humber Bay Park Bridge is quite popular, especially with the recent construction boom in South Etobicoke. Regardless, this is beautiful spot with a unique view of downtown skyline.